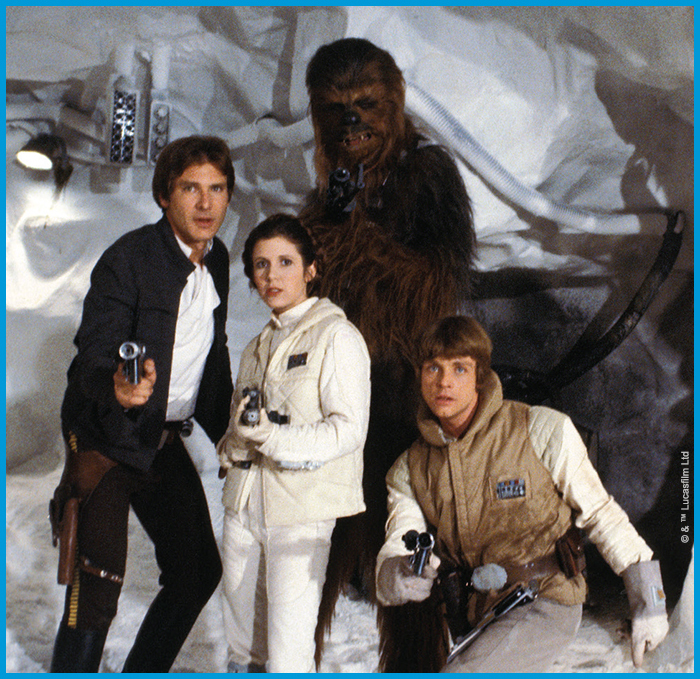 Fantasy Flight Games invites you to take a journey back to a galaxy far, far away with a special 30th Anniversary Edition of the classic West End Star Wars™: The Roleplaying Game. The Star Wars™: The Roleplaying Game 30th Anniversary Edition features not only the original rulebook for the game, but a sourcebook used to populate adventures with the aliens, vehicles and locations of the Star Wars galaxy. Today, we’re taking a look at the Rulebook included with the set, faithfully recreated from the original release thirty years ago. Star Wars: The Roleplaying Game has captured the imagination of players for thirty years with a rules system that is easy to understand, yet offers a galaxy of customization to create the characters you want to create and tell the stories that you want to tell. Like many RPGs, Star Wars: The Roleplaying Game uses skill rolls to check if characters succeed or fail when they come face to face with the greatest dangers of the Star Wars universe. Skill rolls in Star Wars: The Roleplaying Game are fast-paced and easy to interpret, however, as players simply roll a handful of six-sided die based on their abilities and skills, and compare their result to a difficulty set by the Game Master. The player characters that you create have abilities that are split between attributes and skills. Attributes are those abilities your character is born with, while skills are the abilities that are learned over time. This is where character customization comes into play. There are six main attributes, and every skill in the game falls under one of them. These attributes provide the baseline abilities of a character, telling them how many dice to a roll during skill tests. The character's skills start with the same value as the corresponding attribute—but when you're customizing your character during character creation, you'll decide which skills your character has spent his or her life training and push those skills even higher. Character creation in Star Wars: The Roleplaying Game is quick and easy, using customizable templates for players to create the Star Wars characters they have always dreamed of. No matter what kind of character you want to play, character creation begins with selecting a character template. The character templates found in the Star Wars: The Roleplaying Game: 30th Anniversary Edition give you a baseline to create a Star Wars character. With evocative names like the Arrogant Noble, the Failed Jedi, and the Laconic Scout, these templates don’t create a character for you, but provide a foundation for you to build your own adventurer. The book contains twenty-four character templates, just a few of which can be found below. Some say you’ve got no morals at all. That’s not true. You live by a strict code. A contract is a contract, that’s all. You do your job. When someone hires you, you keep up your side of the bargain—no matter what it takes. The Empire hired you, you did the job, fulfilled your side of the deal. Now you have a contract with the Rebellion, and this time it's personal. Bounty Hunters are some of the most feared professionals in the galaxy, tracking down their targets with the utmost skill and precision. The Bounty Hunter template puts you in these shoes, giving you the equipment and skills befitting a gun for hire. The Bounty Hunter excels in dexterity and strength skills and is weakest at technical checks. Your parents called it “gallivanting around the galaxy,” but as far as you’re concerned there’s no better life than a free trader’s. Traveling as your fancy takes you, trading a little here and a little there, looking for a sharp deal, bargaining and selling, new worlds to see, always a new planet at the end of the journey. That’s how it’s supposed to be, anyway. But the Empire is more and more restrictive by the day. Goods that used to be legal are now contraband. Even contraband is harder and harder to come by. Bribes have become your major expense. You keep on dreaming of making one big killing and getting out… but you don’t want to get out. To you, your ship is home, transportation, and freedom, all in one package. The idea of losing it kills you. In addition to your skills, the Smuggler template provides the one thing every galaxy-traveling crew needs—a stock light freighter to fly you around the galaxy. The Smuggler also has some light weapons in case you run into any Imperial entanglements. The Smuggler template excels in mechanical abilities and is weakest when it comes to knowledge-based skills. In its long and peaceful history, your species has learned much about the universe and the nature of existence. You yourself have contributed but little to this knowledge, but you have meditated long and hard on reality, and especially on that quality that humans call the Force. 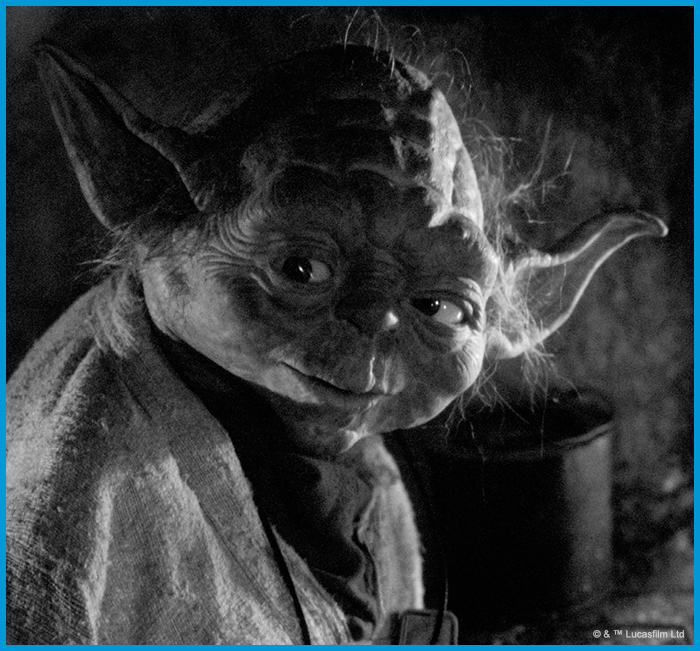 You have what humans call Jedi powers in some small degree, as do others of your species. Your race prefers its solitary existence and has never seen reason to have commerce with the rest of the galaxy. But you have decided to leave your native planet. Perhaps you seek the true Jedi, hoping to learn more about the Force from them. Perhaps you are simply curious. Perhaps the Empire has committed atrocities on your planet. The Alien Student of the Force is a solid choice for a Force user during a time when Jedi were few and far between. By harnessing these mystical abilities, you are well on your way to galaxy spanning adventures. 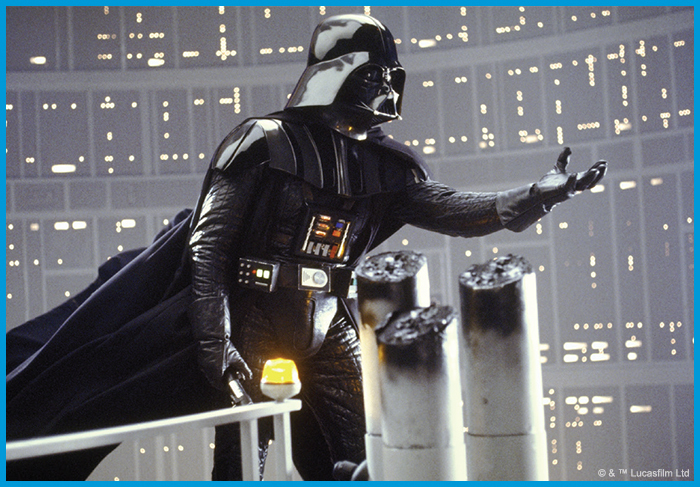 The Alien Student of the Force excels in knowledge abilities and is weakest at technical abilities. The book also takes a step back and examines what it means to run a roleplaying game as a “Space Opera” and the story beats found throughout the genre. This insightful advice is invaluable for giving Game Masters a greater understanding of what makes adventures exciting, and the guides found in this book are still so relevant that Pablo Hidalgo cites it as inspiration for the writers' bible he developed for the Lucasfilm Story Group. 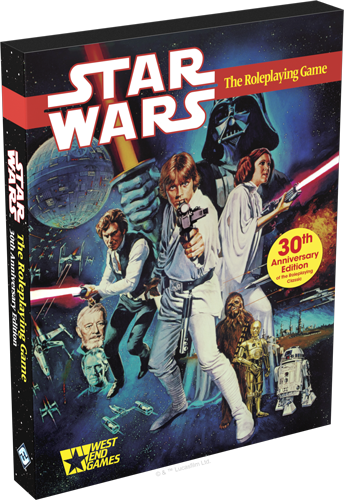 From character creation, through Game Master advice, to plotting your first adventure, you have everything you need to travel to a galaxy far, far away with Star Wars: The Roleplaying Game 30th Anniversary Edition. What adventures await? Pre-order Star Wars: The Roleplaying Game 30th Anniversary Edition (SWW01) from your local retailer or from our website here! Collect a legendary artifact of Star Wars gaming history! Available for a limited time, the Star Wars™: The Roleplaying Game 30th Anniversary Edition is a faithful, high-quality recreation of two influential Star Wars books—Star Wars™: The Roleplaying Game and The Star Wars™ Sourcebook—both of which were originally published by West End Games in 1987.